Here is the piece I performed this week at the Not-So-Silent Planet Spec Fic open mic. After a good 4 year run, this was the last time NSSP will be at Kieran’s Irish Pub. I wrote this specifically for the occasion and so will probably never be able to do it anywhere else again. I thought I’d share it with you. Hopefully, I will have video of the performance to put up soon. The words fell tripping like lightning off lips and tongues to waiting ears, spun tales into the hearts of audiences, stories filled the room transporting us from the sadness of the day into imaginations deep with joy, transformed us from dull drones beaten by the relentless stamp of jobs and bills and fears into shining beacons of light and story. We morphed into our truest selves, touched worlds unexplored, laid out verbal vistas like playgrounds of the mind. We pushed back entropy, struck sparks against the darkness, raised glasses, raised voices, raised each other up, created our chosen family, made space for professionals or first-timers, young, old, angry, funny, sad, joyous. We sought to centered those once silenced, once abandoned in the margins; oh, my brothers and sisters, in this space we were mighty. All things change. This is truth. All things must change, even this place we loved, created as our heart’s home. This place no longer held us in its embrace. And just like that, it no longer felt like home. It no longer felt like home, so there was no reason to stay, and though the future seemed uncertain, filled with monsters built to feed our fears, our anxieties lurking poised to shred the community we’d built, we remembered. We remembered these walls, this shell, is not home. Home is where your people are. Remember this: home is always were your people are. Confirmed – I will be the The Loft Literary Center newest book festival Wordplay on May 11th and 12th in Minneapolis. I will be reading with Catherine Lundoff and Queen of Swords Press on Sunday the 12th at 2 pm on the Pop-Up Stage. This year I promised I would keep my goals to things I can control. To do anything else is to set myself up for frustration. With that in mind, here are my 2019 Artist goals. Find a title for Baseball Sorceress novella and prepare it for submission. Continue submitting novel to agents. Continue submitting short fiction to markets. Prepare and submit a short story collection. Finish preparing and published the Sixguns & Sorcery omnibus edition. Seek out more opportunities to perform in storytelling shows. Work on returning to acting. Write a feature length stage play. Write a feature length screen play. This seems a little ambitious to me, but at the same time, no sense in not going for the gold. Unless something wacky happens, 2018 is in the books for art career stuff. It was a pretty low-key year this year. I am in the middle of agent queries on a novel, preparing to publish an omnibus edition (with new material) of my Sixguns & Sorcery novellas, and preparing the still untitled Baseball Sorceress novella for critiques. I will talk about my 2019 goals in a later post. “We Are Not Daredevil. Except When We Are Daredevil.” Uncanny Magazine #24. “Fast Gliding Down the Rails” in The Unfit. “The Cursed Script” Co-written with Fox Barrett. Three performances as part of Planet Fest. Except from “Tenari.” Eat My Words Books. Except from “Tenari.” Scourge of the Seas of Time (and Space)release party. DreamHaven Books and Comics. “All Our Love, the Future, and excerpts from Not Enough Midnights and “Untitled Baseball Story.” DreamHaven Books and Comics. “The Most Wonderful Time.” The Not-So-Silent Planet. Minnesota Speculative Fiction Writers Presents: Word Brew 6. The Not-So Silent Planet Episode TBA. “A Blind Person Walks Into A Theater.” VSA Minnesota. Hopkins Center for the Arts. GPS Geek Emporium. Minneapolis, MN. Twin Cities Book Festival. Falcon Heights, MN. Books and Beer Pop-up Bookstore. Minneapolis, MN. Reading and Signing at DreamHaven Books this Wednesday! Reminder that Wednesday I will be reading from my space opera short story “Tenari,” published in this anthology, and will be there to help the editor and publisher sell books! Come out for the release party! Details in the link below! 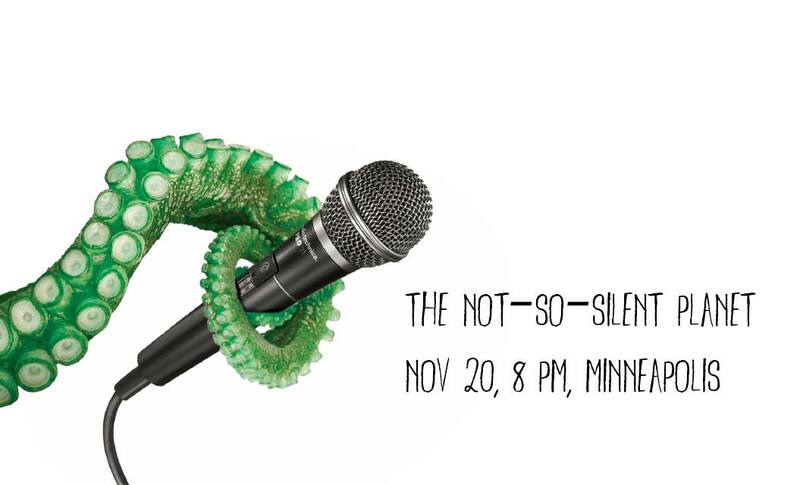 Featured Storyteller at Not-So-Silent Planet! Up Next: Readings in Support of Scourge of the Seas of Time(and Space). 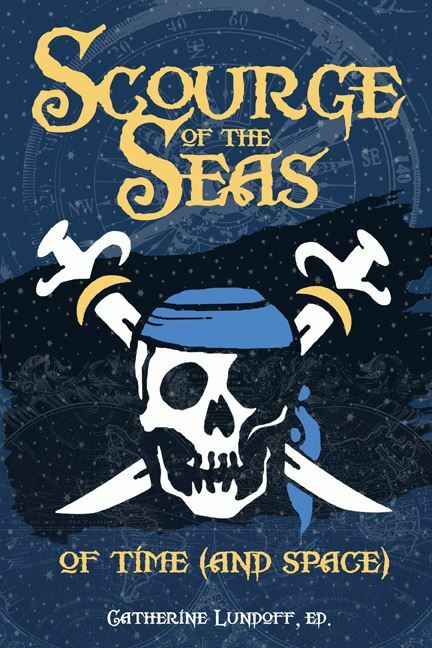 I will be taking part in two readings in support of the release of Scourge of the Seas of Time (and Space). December 5th 2018 At DreamHaven Books, 2301 E 38th St, Minneapolis, Minnesota 55406, at 6:30 pm. December 13th 2018 at Eat My Words Books, 214 13th Avenue NE, Minneapolis, Minnesota 55413. Editor Catherine Lundoff and anthology contributor Michael Merriam will be reading and signing books, chatting about piracy and handing out some munchies. Scourge of the Seas of Time (And Space) news! Next Up: Word Brew Six: This Time, It’s Formal. For the 6th year in a row, a dozen authors of science fiction, fantasy, horror and more will read 5 minute excerpts from their stories. 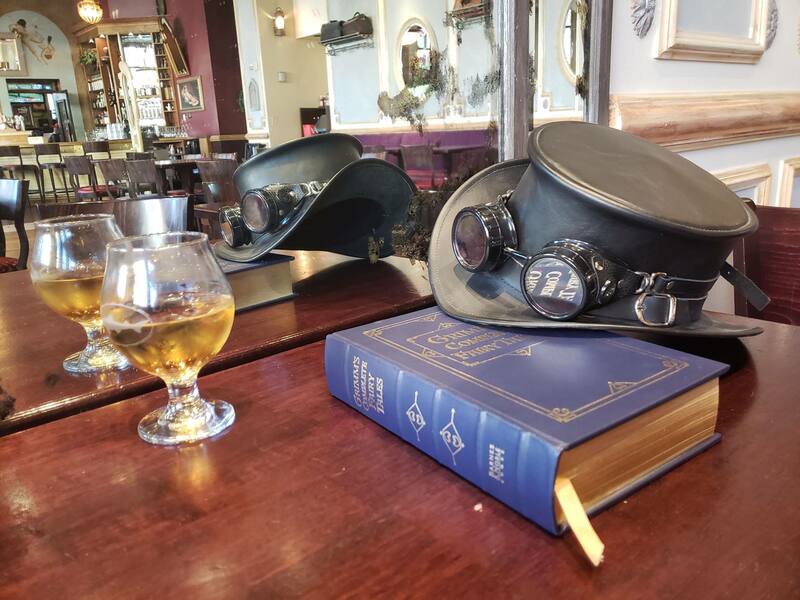 Dress up and raise a pint with us in the majestic Titanic Room at Kieran’s Pub. No cover. Come discover your new favorite fiction author. You’ll see why we call it ‘speed dating for speculative fiction’! This year I have the honor to be the MC for this event.